Lifeline Western Sydney is one of 40 centres accredited by Lifeline Australia, and is a service of Parramatta Mission. We run courses throughout the year at our training centre at Parramatta. Whilst the actual cost of the course is valued at around $2,000 through grants, donations and fundraising events, we are able to offer it at a greatly subsidised rate. In return, we ask for an ongoing commitment of fortnightly, 4 hour shifts (at a time to suit you) to Lifeline Western Sydney, for a period of at least 12 months from when you start answering calls. We began as a 24 hour service on 3 August 1974. At that time, Dr Gloster Udy trained volunteers in “Ellengowan”, a Georgian house which was the original premises of the Tara school in Parramatta. We aim to have around 100 trained telephone crisis supporters to respond to the 50,000+ calls we answer from around Australia each year. People in crisis call us about their suicidal thoughts, relationship difficulties, mental illness, domestic violence, addictive behaviour, sexual abuse, loneliness, social isolation and disabilities as well as many other issues. This service wouldn’t be possible without our friendly, caring team of dedicated volunteers. As the demand for the Lifeline telephone crisis service is always high, we are continually looking to expand the team. As the demand for the Lifeline telephone crisis service is always high, we are continually looking to expand our friendly, caring team of telephone crisis supporters. Lifeline Western Sydney on behalf of Lifeline Australia RTO 88036 run courses throughout the year at our training centre at Parramatta. Whilst the actual cost of the course is valued at around $2,000 through grants, donations and fundraising events, we are able to offer it at a greatly subsidised rate. In return, we ask for an ongoing commitment of fortnightly, 4 hour shifts (at a time to suit you) to Lifeline Western Sydney, for a period of at least 12 months from when you start answering calls. If you’re not in a position to be a telephone crisis supporter, then you may be interested in becoming a Friend. The Friends of Lifeline Western Sydney are a committed group of volunteers who raise much needed donations for the centre through a variety of fundraising activities. To become a friend, and help us to continue to support the community through difficult times, email us at lifeline@parramattamission.org.au for more information. Your local Lifeline Centre is staffed by local volunteers. By donating to your local Lifeline Centre, or by volunteering to be trained either as a counsellor or in a support role, you are directly helping your community. 13 11 14 is a confidential telephone crisis support service available 24/7 from a landline, payphone or mobile. Anyone across Australia experiencing a personal crisis or thinking about suicide can contact Lifeline. Lifeline Western Sydney is one of 44 centres accredited by Lifeline Australia to answer these calls. Regardless of age, gender, ethnicity, religion or sexual orientation our trained volunteers are ready to listen, provide support and referrals. At Lifeline Western Sydney, we answer hundreds of calls every day from Australians needing crisis support and suicide prevention services. Resources for individuals, professionals, families and communities. A comprehensive database of low cost or free health and community services offered throughout Australia. A suicide prevention scheme, auspiced by Lifeline Australia. Helping parents be their best. An Australia site with information on depression. Information about depression for consumers, produced by the Centre for Mental Health Research at the Australian National University, CSIRO Mathematical & Information Sciences with the assistance of an advisory board. 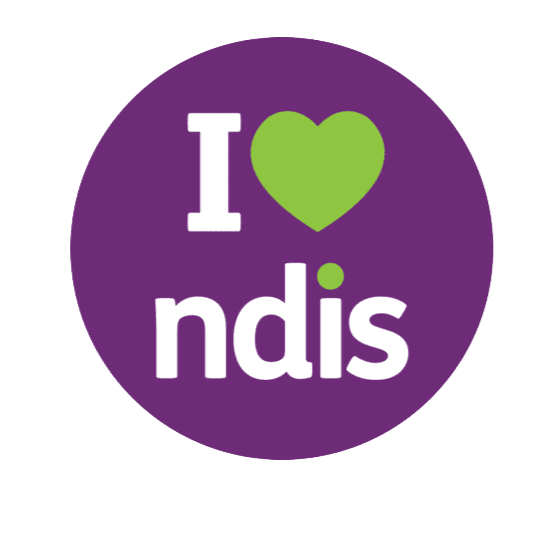 Supporting information for carers including parents, families, teachers, friends, and professional carers of people with disability and mental illness. A group of researchers and clinicians concerned with anxiety and depression. The website provides self help information and facts about mental illness such as depression, panic attacks and anxiety. Formerly known as Partnership with Young People Project (PYPP), a South Australian mental health promotion project managed by the Division of Mental Health, Women’s and Children’s Hospital, Adelaide. This website aims to inform young people, their caregivers and service providers about positive mental health. A portal to mental health issues. A national telephone counselling service for young people aged between 5-18 years. Free call – 1800 55 1800. Training programs about cognitive behaviour therapy for preventing depression. Multicultural Mental Health Australia provides national leadership in mental health and suicide prevention for Australians from culturally and linguistically diverse backgrounds and works to promote better mental health and well-being for a diverse community. A national charity helping people affected by mental illness. SANE Australia Helpline Free call – 1800 18 SANE (7263). Founded in 1948 to advance, among all people and nations, the prevention of mental and emotional disorders, the proper treatment and care of those with such disorders, and the promotion of mental health.